Ros (pronounced Rose) Hommerson revels in designing shoes that fit perfectly with plenty of "presence," even for hard to fit feet. Through years of experience, she's honed her ability to do this, which is why her line boasts a broad assortment of sizes and widths. Ros perseveres to keep comfort and fashion compatible, so she's relentless about details. 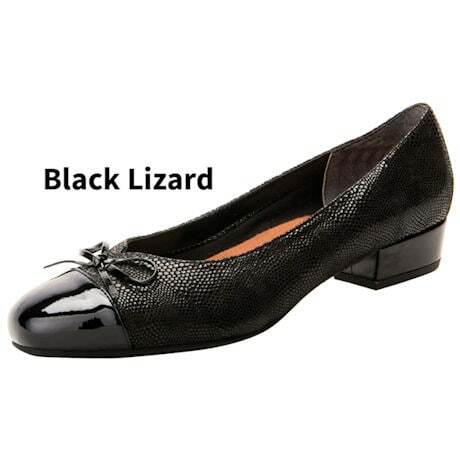 Her technical keenness dictates that each shoe's construction melds with the shoe's width. 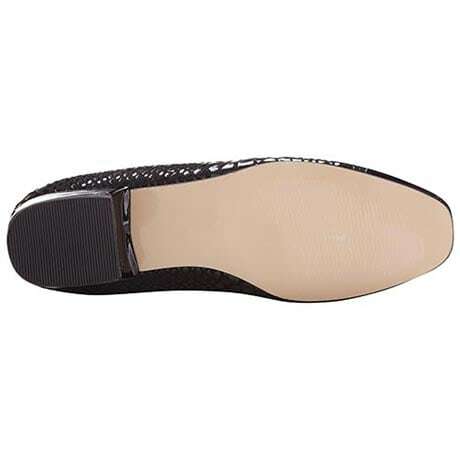 In addition, cushioning under the foot is always ample, with ultra-padded and abundantly supportive insoles. Drilex® covered footbeds with AEGIS anti-microbial properties, and tricot linings for maximum softness. 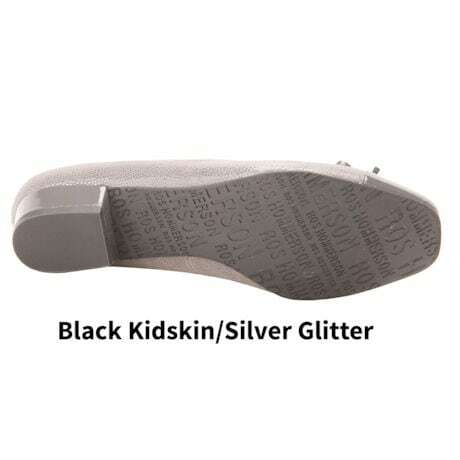 Durable outsoles of rubber, or leather - great for dancing! 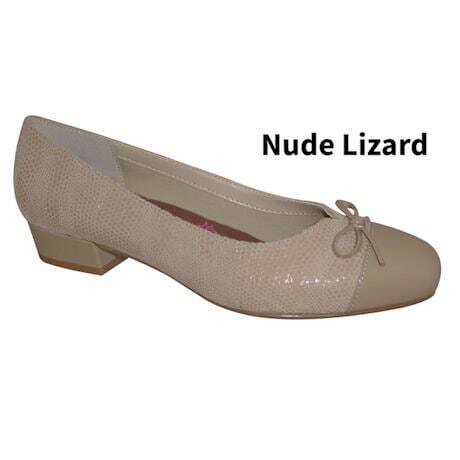 You'll enjoy the stylish Patent, Suede, and Lizard print leather uppers - some with stretch material too. Ros handpicks all embellishments and decorative accents, taking care that they complement the shoe, without becoming lost or overwhelmed. Imported. 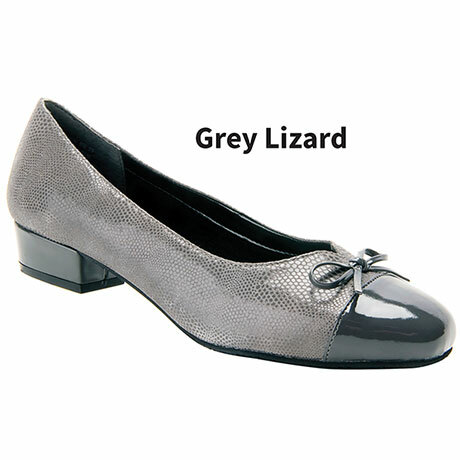 Smooth kidskin or lizard print leather uppers with a patent cap toe and petite leather bow. 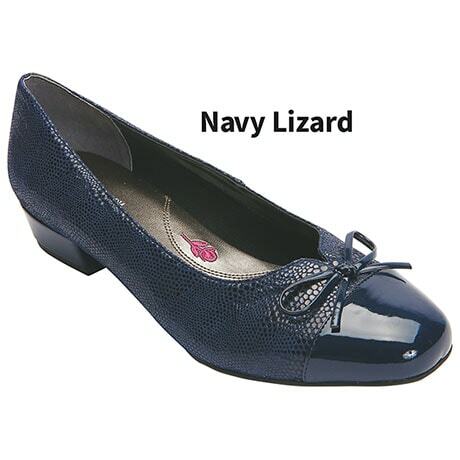 Patent covered block heel is 1" in height. Item can only be shipped within the Continental US.